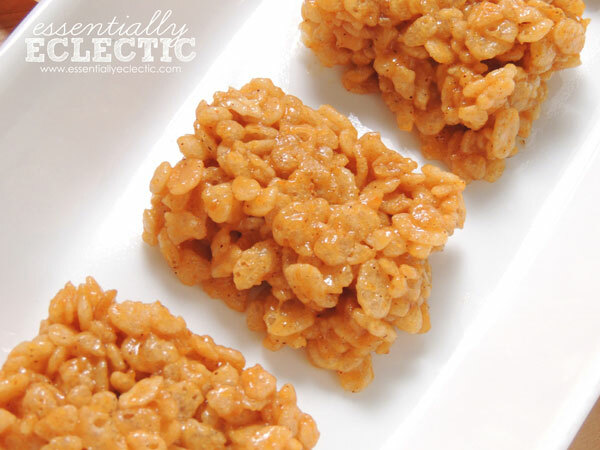 Home / Blog / Pumpkin Spice Krispie Treats: A Festive Dessert in 10 Minutes! Spread your ¼ cup pumpkin puree on cheese cloth or between several paper towels and let it sit for 45 minutes, getting rid of the excess moisture in the pumpkin (alternatively, reduce pumpkin puree to ⅛ cup or omit entirely). In a large pan, melt your butter on medium low heat and add 4 cups mini marshmallows. Add your pumpkin puree to your melted marshmallows along with your cinnamon and pumpkin pie spice. Toss in your rice krispie cereal and stir. 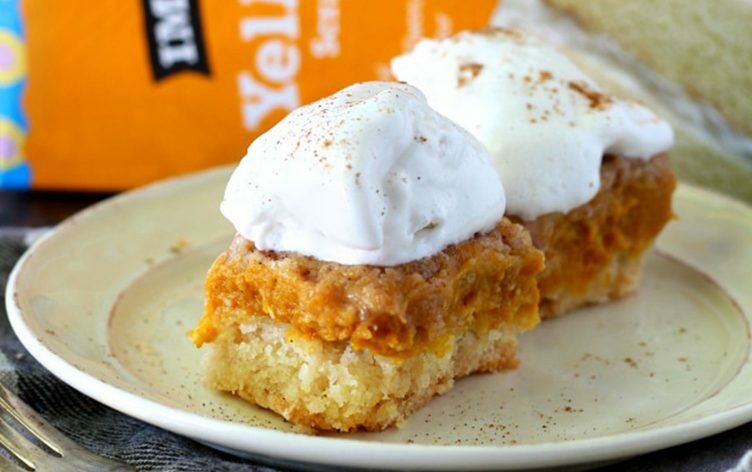 Pour your treat mix into a 9×13 greased baking pan. Cover your treat mix with parchment paper and press your treat mix into the pan. Allow your treats to cool, and enjoy!